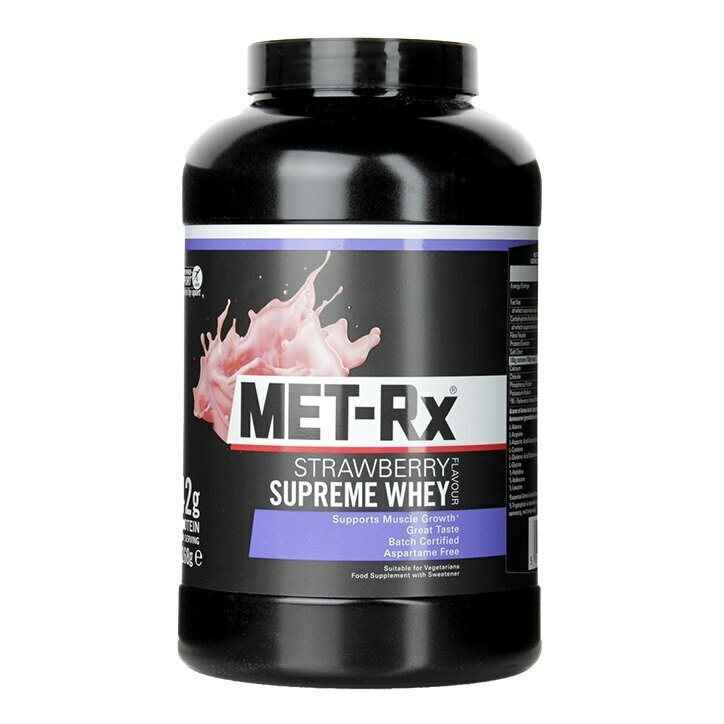 Met-Rx Supreme Whey Strawberry Cheesecake is rated 4.6 out of 5 by 9. Rated 5 out of 5 by Artis from Great product Amazing product, would wish it was cheaper though. I really think this is great but slightly expensive. Rated 5 out of 5 by Meriter from great I have bought it a month ago, but not much. Therefore effect is not big. Rated 5 out of 5 by Aidan from Best so far! Bought this product a couple weeks ago and super impressed. Taste is great, never any lumps/bits. I use as a diet aid and post workout and it does exactly as it's meant to! Only tried 2/3 protein shakes before now but this is by far the best! Rated 4 out of 5 by Jigar1974 from Very helpful for Gyming guys. It good source of Protein for Veg guy. Rated 5 out of 5 by GettingOlder from Met-Rx Supreme Whey Strawberry I have tried a number of different drinks for training and diet purposes but this one for me works well. you feel full and have plenty of energy to work out. I use as a diet aide and for pre and post training and will buy it again.